Last year, an off-the-shoulder top was almost always accompanied by a choker necklace—whether it was a velvet ribbon or tied leather. However, Bardot tops now have a new partner in crime. 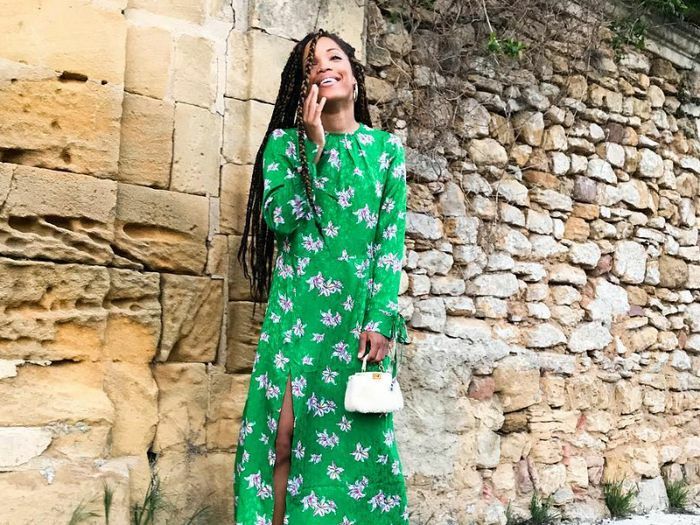 The off-the-shoulder trend might have died down slightly, but we are still taken by the shoulder-exposing blouses from Caroline Constas, A Piece Apart and Zimmermann. 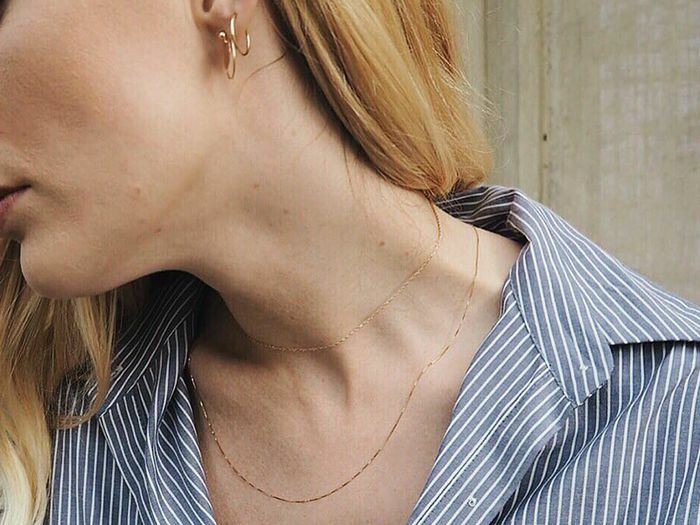 When it comes to styling these necklines, the Instagram crowd is pairing them with simple pendants on fine chains—whether that's an Alighieri medallion or a single gold shell. The key is to opt for discreet, minimal necklaces (and especially if you wear just one or five). Keep scrolling to see how influencers have been wearing this double act, and then shop our edit of the best duos below. Style Notes: Jessie Bush wears a simple gold medallion necklace with her off-the-shoulder Zimmermann crop top. Style Notes: Lindsey from Ropes of Holland layers two gold pendant necklaces over the top of her black one-shoulder top. Style Notes: Lucy Williams's two gold necklaces falling into her bra are the perfect extra touch to her white off-the-shoulder Kitri blouse. Style Notes: Aimee Song is a big fan of an off-the-shoulder neckline, and here she wears her Bardot dress with three pendants on fine chains.